I found myself at a complete loss for words…and as a writer of greeting cards, that is not my usual M.O. 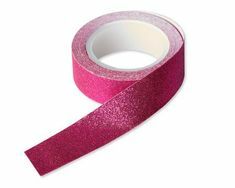 Sadly, on not just one but on three separate occasions in recent years, I received the mind-numbing news that a dear friend had suffered the sudden and shocking loss of a husband at a far-too-young age. Each of these friends had NO time to say goodbye, NO warning of what was to come…and NOTHING to help them prepare for their tragic loss. Having lost both of my parents in the past 10 years, I was not a stranger to grief, but these sudden losses were the kind I was used to reading about in the news…the kinds of things that happened to OTHER people. The deaths of my friends’ husbands hit far too close to home…and while I couldn’t begin to imagine the depth of loss these women were experiencing, I was not immune to the shock waves of pain I felt from just knowing them. Suddenly, this subject became a lot more personal to me. These deaths were not only unexpected, their circumstances were most unlikely. Sigrid’s husband died during a morning bike ride; Joanne’s husband never woke from an afternoon nap; and Shannon’s husband tragically drowned in the ocean while swimming with his son. All three deaths were attributed to heart issues, but these men were otherwise healthy and in the prime of their lives. I have no idea what words I may have expressed to each friend upon hearing their terrible news, but as one who makes a living helping people share words of comfort during times like these, it was important for me to better understand what may have helped my friends cope with their loss. I have always found writing messages for sympathy cards and serious illness a challenge, albeit a rewarding one. Helping people express their feelings when it matters most is a privilege and one I take to heart. My experience as a writer has taught me it’s often not how much you say, but what you don’t say that is important. Simply letting someone who’s suffering know they occupy a space in your heart can be so meaningful. Everyone’s experience with grief is different and very personal. 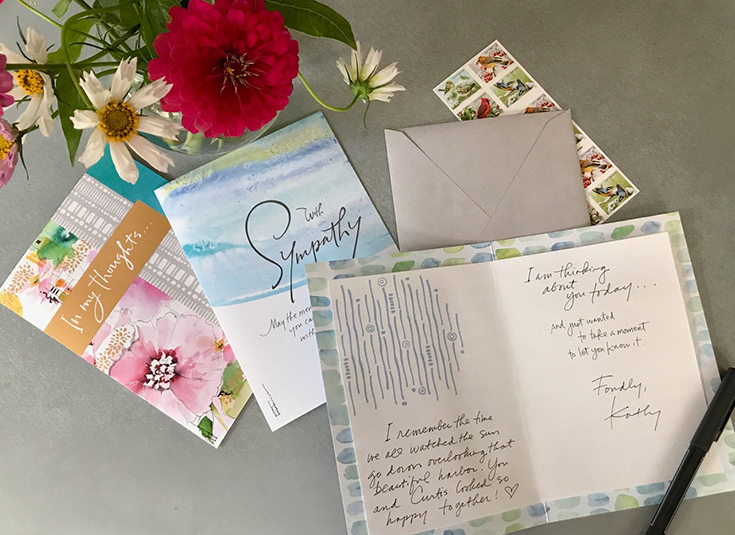 The gesture of sending a sympathy or thinking-of-you card means the most when it includes some personal words from the sender, especially a memory or story about the loved one. While I know there are countless books and articles written on this topic, it was important to me to learn this knowledge in an authentic way…directly from my friends. What words or gestures from others offered you comfort in dealing with your grief? What words or gestures, while well intentioned, were not comforting…and were maybe even hurtful to you? I’m sharing my friends’ responses in their own words. Don’t ask me what I need! I don’t know! Don’t be afraid that you may make me cry…or laugh! I want to hear your memories, stories, recollections. My tears help to cleanse me, to heal me. My laughter helps me to celebrate my time with my loved one and gives me strength. Don’t say, “Call if you need anything,” because I do not want to impose. Just DO something nice for me without being asked. Understand that my grief is different from anyone else’s. It is long-lasting, and it comes to me in waves. Show me you care by sending cards, letters, texts and emails. 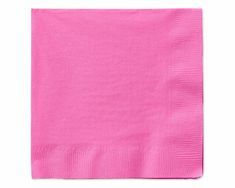 Add a personal note to my sympathy or thinking-of-you card. I especially appreciate memories about my loved one. These memories mean the world to me and let me know that my (husband’s) life made a difference to you and others. When writing me a message, just be yourself. Simple yet genuine words let me know you care. Share your stories and photos with me. Please keep me in your thoughts. Receiving cards and thoughtful gestures for months or even years later really made me feel loved. One friend sent me a thinking-of-you card once a month for six months. That was really special. 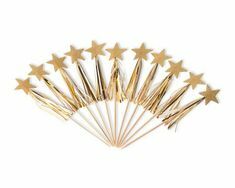 Honor anniversaries and special occasions. When I heard nothing from my family and friends in remembrance of our wedding anniversary, I was really hurt. Sending me small gift cards for coffee or a meal are so appreciated. Small gestures make a big difference. Take my kids for an afternoon. Pick up some food items for me from the grocery store. Bring me a prepared meal. Ask me to go for a drink. Take me to a movie. Take me to a park to go for a walk. Just give me a chance to talk. The above feedback from my friends gave me a lot of insight into the kinds of words and gestures that have helped them heal. I am so grateful for their openness and willingness to share their experiences with all of us so that we, in turn, can help others as they journey through grief. I honor Sigrid, Joanne, and Shannon for their courage, their strength, and their grace in the ways each of them have handled their loss. May they have continued healing and warm memories to carry in their hearts. For more than 25 years, Kathy Davis has been the trusted voice of heartfelt connection. We can always count on her for the right words to offer comfort, share joy and celebrate life’s moments, big and small, which is why she continues to be a great friend and content partner. 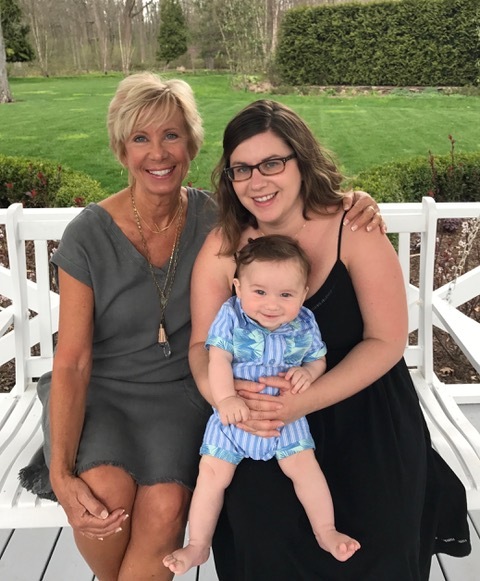 With Mother’s Day just around the corner, we are excited to share a recent conversation we had with Kathy, and her daughter, Katie, about the journey of motherhood, and the importance of recognizing and celebrating the moms in your life. What is the best piece of advice you’ve received about being a mom, and who did it come from? Kathy: One piece of advice that sticks in my mind came from our pediatrician at the time. She was an older woman, pretty matter of fact in her delivery, but so very experienced! After she performed her doctor duties on my toddler, she turned to me and said, “Now you will want to go for walks with him, but let HIM take the lead. He will want to stop and pick up a leaf or look at a worm. Your job is to let him take the time to really experience nature and the world around him. Don’t hurry him.” It truly was a lesson for me about mindfulness! So, the task was not about getting from one place to another, it was about enjoying every step along the way. Good advice no matter what you are doing! Katie: My best friend encouraged me to scale back on work when the baby came and to take the extra time and just BE there with my baby. You never get that time back and I never regretted it for a second. What has your daughter taught you about motherhood now that she is a grown woman with a child of her own? Kathy: Katie is a natural when it comes to motherhood! I can’t remember a time when she didn’t want to become a mom. I’m very proud of the way she nurtures little Sammy, and she enjoys him immensely. Katie trusts her instincts and I admire that. There is so much conflicting advice about child rearing, but trusting your instincts and knowing your child is the best compass, and Katie accomplishes that effortlessly. She is in her element! What is it like watching your own mother as a grandparent? Katie: It’s so fun! My mom LOVES LOVES my son and its obvious he loves her! I can’t wait to see what kind of relationship those two forge. I’m betting it will be pretty special. I was extremely close with my grandparents and the relationship I had with them is one of the most precious things in my life and my hope is he has the same with her. What is the biggest struggle you have encountered on your own motherhood journey? Kathy: Keeping my life in balance has always been my biggest challenge, especially as a mom (and, in particular during the years I was a single parent!) Being there for my two kids as much as possible while juggling a job and maintaining our home was a struggle. My daughter used to say, “I wish you were a stay-at-home mom,” and it would break my heart. Katie: I have found that once my son (Sammy, 7 months old) was born, I immediately shifted into mama bear mode. I prioritized his needs above everything else in the world, which I think is mostly instinctual and very necessary to care for a new baby especially in those early days and weeks. What I didn’t anticipate was how difficult it would be to pull myself out of that bubble and take care of myself. Regular things I didn’t think twice about doing before baby like yoga, spending time with friends and even cooking a healthy meal, seemed really impossible and totally unimportant in light of the new baby. What did that struggle teach you and how did you find your way out? Kathy: I have learned that keeping my life in balance is something that just can’t happen on a daily basis! Most days just get out of whack and are top heavy with one thing or another. But, the key for me is making sure that over the course of time I give attention to all of the top priorities in my life, and my family is so important to me. As a mom I have tried to really be there when I am with my kids, making sure they know how much they are loved. As an artist, business owner, wife, mom, and now, grandmother, keeping my life in balance in the big picture is something I continue to work on! Katie: Only recently have I realized how important those things are to who I am. As a mother you give everything to your child: your body, all of your positive energy, every waking moment and many not-so-awake moments, and honestly I was SO in love with my baby that I didn’t really care. It was only, at my husband’s insistence that, I finally went back to my old yoga class, something I hadn’t done since I was 17 weeks pregnant. It felt so great to workout, and to sweat and bring some of the focus back onto myself and find what my body and mind need to feel balanced and healthy. I didn’t even realize how much I had missed it until then. I came home energized and clear minded with the realization of how important that time is for my well-being. Being a mom has certainly changed me but I don’t want it to replace my identity entirely. It’s something I’m sure will be an ongoing struggle but I’m thankful to have an awareness about it now. What do you wish you could tell other moms who are feeling unappreciated or insecure about being a mom? Kathy Davis recently launched her Open Heart campaign, which celebrates how she’s always been inspired by how sharing what’s in our hearts with the ones we love, deepens our joy and connection. Open Heart celebrates those very moments by inviting people to take the time to open up and express how they feel to a woman who means the world to them. By sharing these video tributes of love and gratitude, the hope is that others will be inspired to create their own, just in time for Mother’s Day. 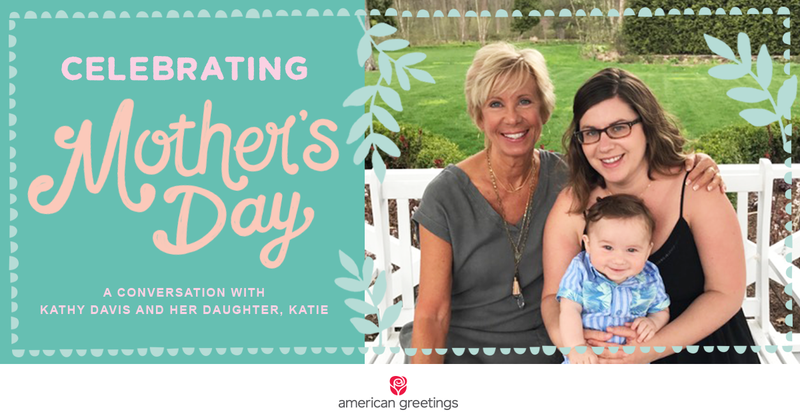 To follow along as Kathy takes you on this heartfelt journey and to learn more about making your own video, click here — and enjoy this sweet glimpse of what makes the relationship between Kathy and her daughter Katie so very special. To see more of Kathy and Katie in their own Open Heart videos, click here. Here we are again in my favorite time of year with all the joy and goodwill that accompany it! I have to say, though, that my focus this year feels a little different. As my family started the annual holiday shopping frenzy, I found myself thinking about how little we really need… and how much is truly needed by so many others. Whether they are struggling financially, in ill health or simply alone during the holiday season, there are people who could use a kind gesture to lift their spirits. 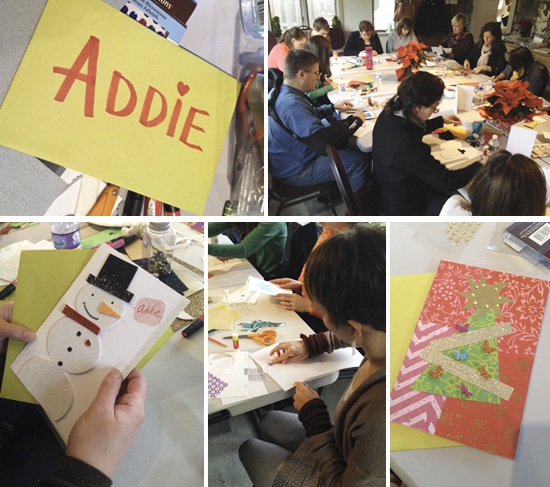 That’s why when we saw the “Christmas Cards for Addie” project featured on the American Greetings blog, we at Kathy Davis Studios decided to dive right in and make some cards for this brave little girl ourselves. And it reminded me how important it is to be on the lookout for situations like these where we can make a difference in even the smallest of ways – not just during the Christmas season, but each and every day. This brings me to my New Year’s resolution for 2015: to be on the alert for places where there is need and to give and give back at every opportunity I see…whether it means sending a card to someone, volunteering in the community or making a donation to a cause that’s important. Even something as simple as sharing a smile or some words of encouragement can make a difference. Nothing feels better for me than giving from my heart. How about you? Do you know someone who could use a helping hand or just a little hello? Add your signature to a card for Addie by Friday, December 19, 2014 and American Greetings send a card on your behalf for free. Also, you can find out more ways that Kathy Davis Studios is living their mission to “Scatter Joy: Joy through Art, Joy through Living, Joy through Giving” here. Summer – time for friends! One of the things I love most about summer is that it gives us time to spend with friends, whether it’s a day at the beach, evenings on the deck or just dinner and a movie. There’s something about the laid-back pace and the longer days that gives us permission to linger and just be together, appreciating each other’s company. The relaxed pace of summer also gives us the gift of time to reach out to friends and loved ones with greeting cards – for birthdays, weddings, anniversaries…or for no reason at all. In fact, our new summer collection of greeting cards is based on art from our “Friendship Garden” collection, which is inspired by my garden at home. Watching the butterflies, birds, bees and dragonflies dance among the flowers gives me great inspiration, and it makes me think about staying connected with the special people who mean so much to me. So why not take a moment to celebrate summer by reaching out to a friend or loved one with a greeting card? You’ll make their day – and you’ll feel good, too! If you are a mom, Happy Mother’s day to you! As Mother’s Day approaches, I find myself thinking about my own mother, who will forever be in my heart. Mom always went out of her way to try to brighten someone’s day. Her example was so constant that I am certain she is the source of my own desire to write messages from my heart to people I care about. In fact, it seems to me that mothers are often the ones who model thoughtfulness for the family, the ones who never forget a birthday or anniversary, who often surprise friends and loved ones with little gifts or messages, who always have their “radar” on to recognize when someone’s spirits might need a little boost. So as Mother’s Day approaches, I like to think about all the moms in my life who are so thoughtful and kind, who extend themselves even before they are asked and who never expect anything in return. Some are friends, and others are family. Some are new moms, others empty-nesters. Some are grandmothers, and others are aunts. I like to show my appreciation to these wonderful women who make a difference in my life by sending a special greeting card, and sometimes I include a token gift or book. This Mother’s Day, I’d love to hear how you plan to honor the special moms in your life! Happy Easter from Kathy Davis! I just love the month of April, with its promising signs of renewal. And this year, both Happy Easter and Earth Day happen in April, so there’s plenty to celebrate. After the bitterly cold and grey winter we’re emerging from here in Pennsylvania, it’s fun to see all the wonderful sights that accompany springtime, Easter and Earth Day. Bunnies and chicks. Pastel Easter eggs. Graceful tulips and fragrant hyacinths. In fact, just the sight of new leaves on trees and grass turning green again is enough to lift my spirits! Easter is also a time to renew our connections – with family and friends we care about. 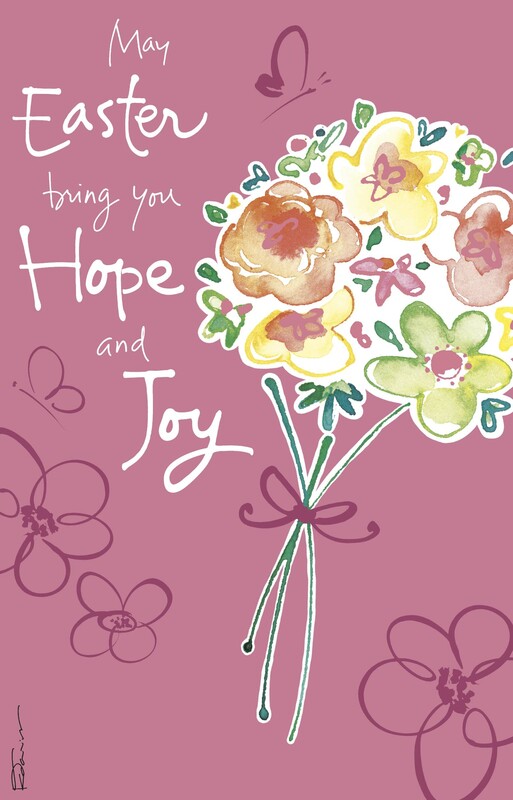 To help you do just that, our collection of Easter cards features uplifting messages and art. Our Easter palette is especially joyful and expressive – from the soft lavender, aqua, pink and green of decorated Easter eggs to the exuberance of sunny orange and yellow daffodils and daisies, from the delicate beauty of whisper pale butterfly wings to pristine pink and white apple blossoms. 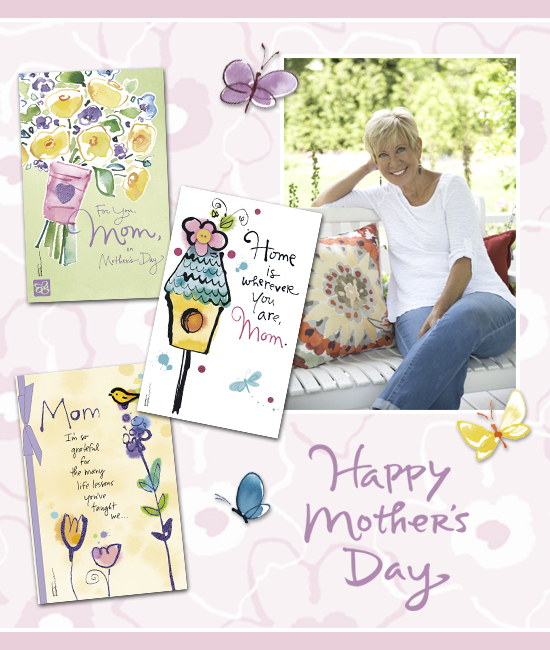 You’ll find our cards in any store that carries American Greetings cards. 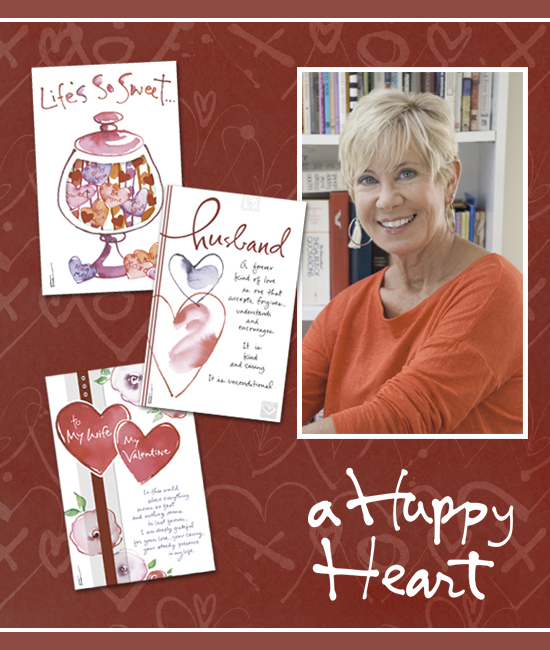 Why not pick up a few greeting cards to let those special people know you’re thinking about them? Sharing the joys of the springtime season is a wonderful way to brighten someone’s day! As I heal from recent shoulder surgery, I have a whole new appreciation for the word “Love” (not to mention having the use of both arms!). My husband Peter has been treating me like royalty (even more than usual), and my daughter Katie has been wonderful, taking care of me when he is away on business and being available to help me out during the day, in spite of her own busy life at work and at home. Friends, too, have been supportive beyond words, showering me with comfort food and gifts and lots and lots of words of encouragement. So for me, there’s just no bottom to my reservoir of inspiration this Valentine’s Day! All I need to do is think about all the amazing gestures of love that I’ve been fortunate to receive. In fact all of us can find this kind of inspiration if we look around us. Think about the nice things – big and small – that the people closest to you have done for you. And don’t forget the little acts of kindness you receive from co-workers and friends. Why not remember everyone with a Valentine? A simple, heartfelt card is always well received, especially when it’s unexpected. A token gift – something silly from the local dollar store, a homemade treat or even a single piece of candy – is sure to bring a smile. How about you? 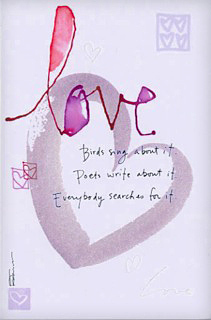 What inspires you this Valentine’s Day? Even though we like to think about giving all year long, it’s especially fun to be immersed in the season of giving! Because I like to be able to fully appreciate and enjoy everything that’s magical about the holidays, I need to have my holiday cards ready to start right after Thanksgiving. I do have to plan ahead and be very disciplined about my process, especially since I write a short letter to include…and I LOVE to decorate and hand-letter each envelope. But it really feels good after I’ve finished and the cards are ready to be mailed! Having finished my cards, it’s then time to start decorating our home for the holidays. And because in early December here in the Pennsylvania, the landscape wasn’t yet covered with snow, we could get outside for our annual family “gathering of the greens.” When I was a little girl, my dad and I used to go outside before Christmas every year to search for evergreen boughs. We’d bundle up and clip greens and sprigs of holly berries and bring them inside. 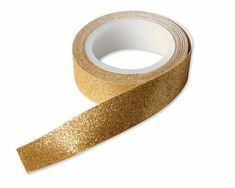 Then we’d display them all over the house, from the mantel to the dining room table, to the banister – any place at all that called for a touch of green. The best part was the fragrance. It was so wonderful to come home to that spicy-sweet aroma of pine. We continue our “gathering of the greens” to this day, and it always takes me back to those great holiday memories of time spent with my dad. What’s your approach to sending holiday cards? And how about your favorite holiday tradition? Every family seems to have a unique way of celebrating that passes through the generations making this time of year so special! All of us at Kathy Davis Studios wish you and yours a beautiful holiday season and many opportunities to experience the joy and wonder it brings! 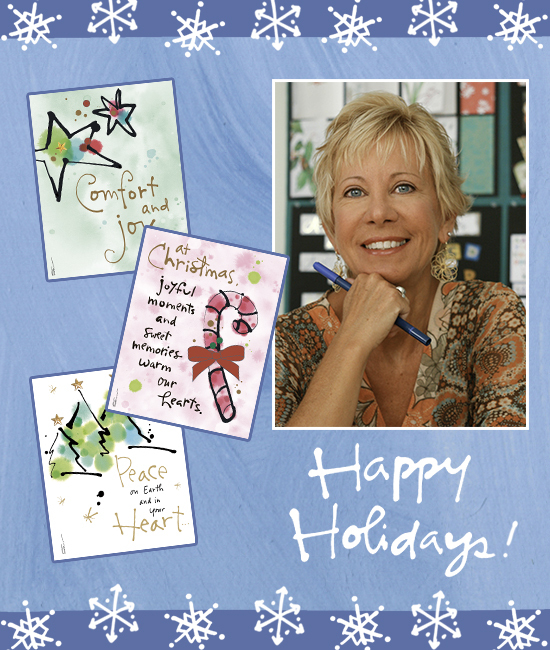 You can find the Kathy Davis line of Christmas cards in a store near you! 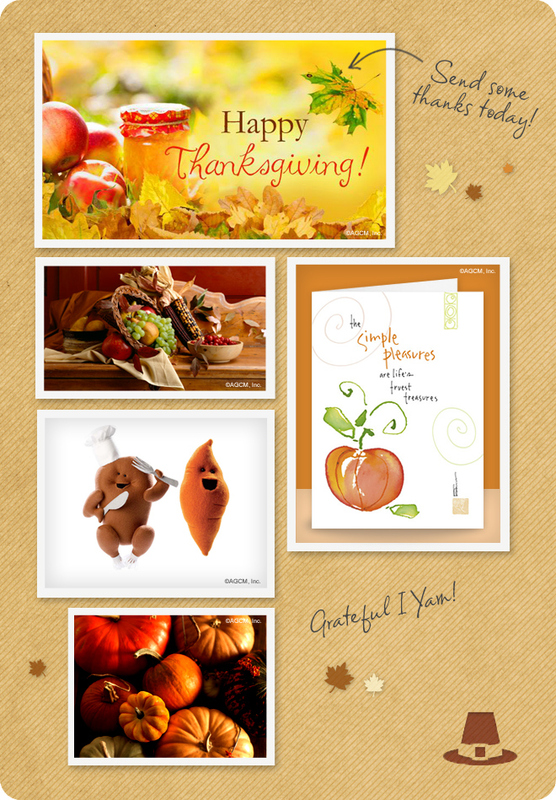 As I prepare to send my Thanksgiving greeting cards, I’m thinking about how much I love this special time of year! Thanksgiving is one of my favorite holidays, not just because of all the great food, but because it’s about Kathy Davis Everyday Card Set . Lately, I’ve been trying to be a little more mindful about the idea of gratitude, and I’m trying to be thankful every day. Some of the things I’m thankful for right now? The blaze of mums blossoming and brightening the landscape. The amazing late afternoon sunsets and the harvest moon. Fresh picked apples and spiced wafers. Lighting candles and sitting by the fire on a chilly evening. And the anticipation of sharing the all-American holiday of Thanksgiving with our family. One of our favorite Thanksgiving traditions is watching the parade. Philadelphia’s Thanksgiving Day Parade is the oldest one in America! Our parade dates back to 1920, and it’s a great event – a visual feast filled with imaginative floats, giant balloons, marching bands and of course, celebrities. And every year when our family gathers for Thanksgiving dinner — before we carve the turkey and dip into the cranberry sauce — each person at the table says a few words about what he or she is thankful for. It’s a great tradition, because for me, it always provides inspiration to think about the blessings I may have forgotten to appreciate. Wishing each one of you an abundance of Thanksgiving blessings! What are your favorite family traditions at Thanksgiving? Life is filled with so many beautiful moments, big and small… don’t you agree? Sometimes all it takes is a moment to stop, look around, and breathe it all in. One of our favorite things about cards by Kathy Davis (like the one shown above!) is the fresh, expressive watercolors paired with inspirational messages. It’s the perfect “breathing room” to pause and reflect on all of the gifts we’ve been given and shows how life is beautiful. You can find these designs (and many more!) in a store near you. Keeping your friends close in heart is super important and this new greeting card assortment from Kathy Davis enables you to do that easily and sincerely. 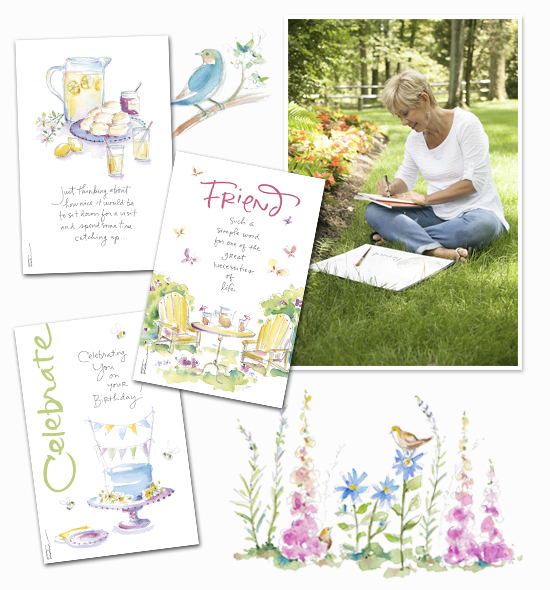 The set includes nine beautifully illustrated cards with heartfelt expressions that say “happy birthday”, “thank you” and “just thinking of you” making it easy to scatter joy on special days and every day. 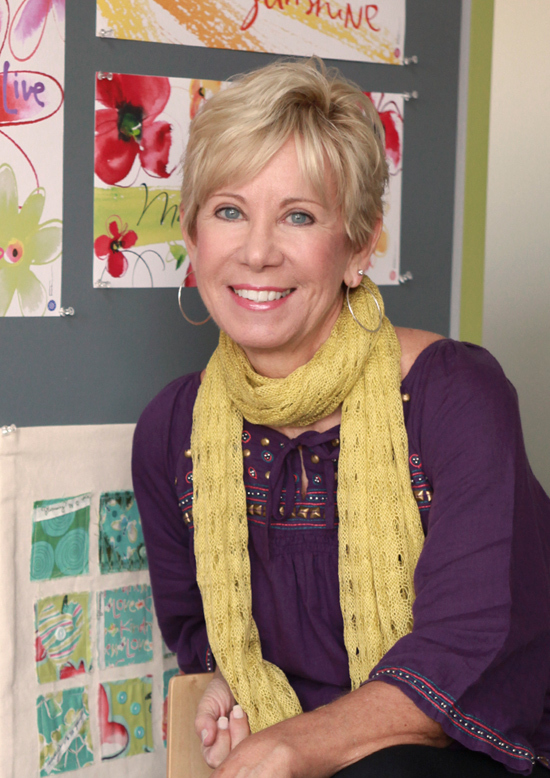 In addition, Kathy Davis and American Greetings have partnered with the National Guild for Community Arts Education – an organization dedicated to providing arts education to millions of students in the United States. Royalties received from this new line of cards will be donated directly to the National Guild thereby ensuring that more people have the opportunity to experience the joy of making art throughout their lives. When did you first realize you were so creative? Even in my earliest memories I am making things…all sorts of things…from paper dolls to perfume… from Christmas decorations to illustrated stories and even a neighborhood newspaper! What is your background as a creative talent? I always loved art, but decided to major in Elementary education in college, with a minor in art. After teaching sixth grade for six years, I returned to graduate school, where I earned a Master’s degree in Art Education. That led me to teach high school art, which I really enjoyed. I left teaching to start a family…and then in 1990, I started my freelance design business from a drawing board in the corner of my bedroom. Today, I am proud to say that my business has grown to a team of 23 employees (we are no longer working from my bedroom!). 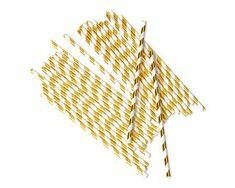 We design a variety of licensed products, including, of course, greeting cards! What is your current position/relationship with American Greetings? I formerly designed cards for Recycled Paper Greetings before joining American Greetings as an independent content partner in 2008. I feel so fortunate to have found such a supportive partnership in American Greetings. As both an artist and a writer, what would you say comes first when creating a greeting card? Sometimes I begin by immersing myself in the sentiment or message I want to deliver…and other times my painting inspires my direction. This “dance” helps to keep my work fresh. 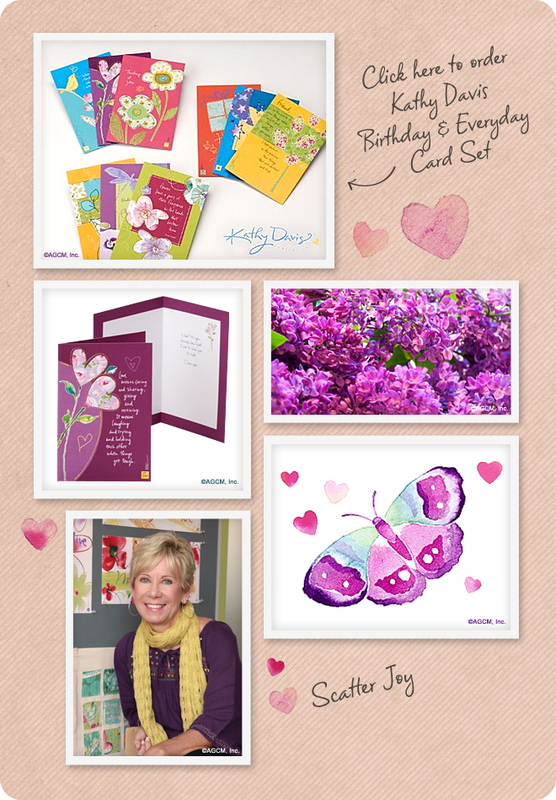 What is it that inspires you when creating a greeting card? The relationship between sender and recipient is always the foundation of my cards. 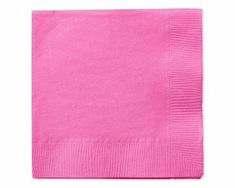 Visually, I like to keep my artwork simple and symbolic, which helps to allow for a broad audience. I love the clean look of a white background with some expressively painted artwork, combined with a hand-lettered message. Do you have a favorite card that you’ve created, and why? One card that stands out in my mind is this romantic card design with a simple brushwork heart, informal calligraphy and hand-lettered copy that is fun while still being heartfelt. What famous artists/writers have influenced you? I love Matisse, Monet and a lot of the expressionist painters. Writers like Emerson influence my work (I borrowed my Brand Promise “Scatter Joy” from him! )…as do the quotes from Helen Keller, Anne Frank and Mother Teresa – three very different, yet inspiring women. In general, what inspires you, and how do you stay motivated? I love the beauty of nature, the warmth of the sun and flowers in bloom. Travel, museums and the life stories of people and their relationships all inspire my work. I need solitude to create fresh content, so it is a balancing act between interacting with my business and creative teams and getting the quiet time to do my best work. Wow. Well, I hope to continue creating content that feels rewarding to me while helping to nurture other talent and giving back. One of my dreams is to create a Scatter Joy Center for the Arts, where I can help mentor others – and through our efforts in the arts, help make a difference in the lives of those less fortunate. What advice would you give to an artist or writer just starting out? Believe in yourself and stay true to what makes you unique. Thanks for the chance to “meet” all of you! It’s Thanksgiving eve and most likely you’re in the middle of preparations for tomorrow’s big meal. As hectic as this day can be, try to take some time out to focus on what you’re grateful for this year. Whether it’s family, friends, a job or simply having a long weekend, an attitude of gratitude can have some real benefits. Research has proven that being thankful for even the simple things in life makes you healthier and happier. And your positivity can have a ripple effect, making those around you feel great too. It will definitely put some extra happy in your Thanksgiving! 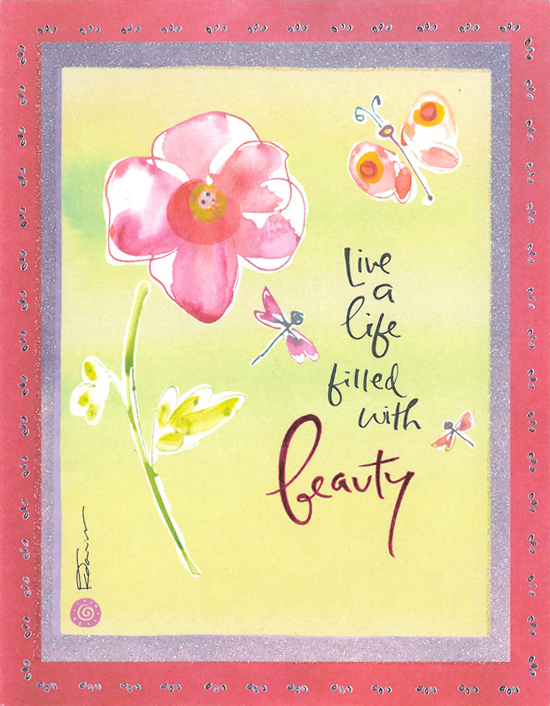 View: Life’s Gifts ecard, from American Greetings and Kathy Davis Everyday Card Set . 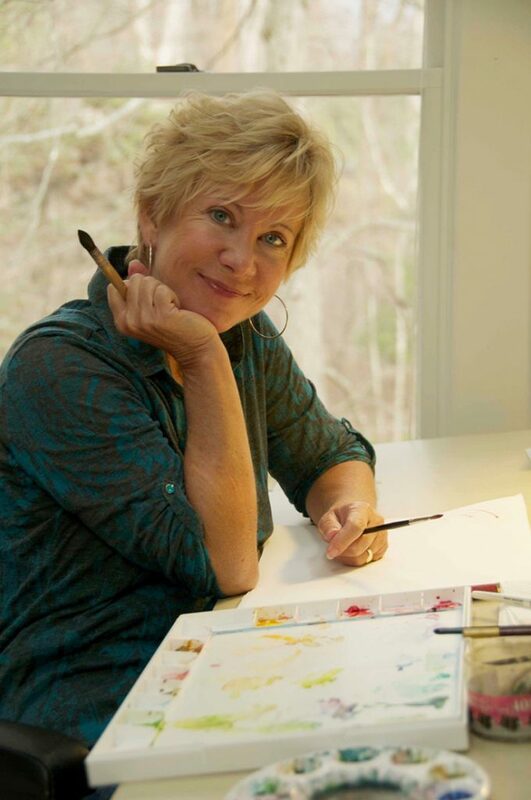 We are super excited to share a look at one of our favorite artists, Kathy Davis, as she introduces a great new series on her blog. 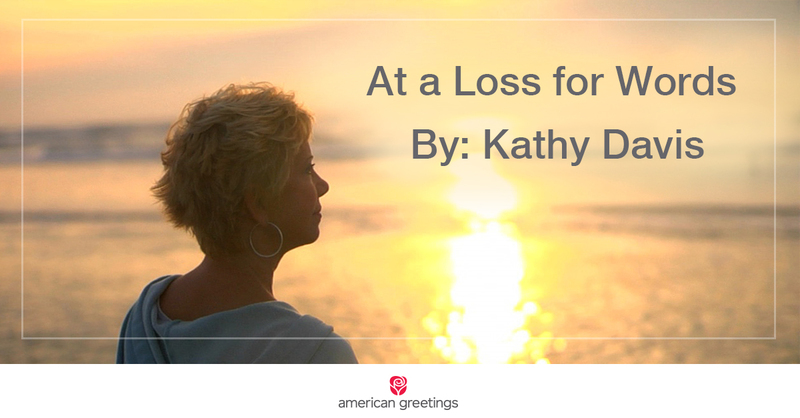 Kathy is a great friend of American Greetings, where it’s not hard to find her work – through both Ecards and Greeting Cards. 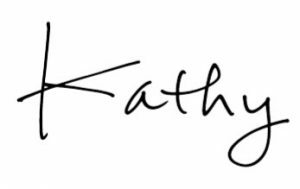 An avid lover of nature, and color enthusiast, Kathy’s belief in giving back and “scattering” joy pervades all aspects of her life and art. And, as a creative woman entrepreneur, she understands the journey and process of turning a passion into a business, a dream for so many people. Mothers and daughters share a lot of things in common – from how they look – to the things they cook – to what inspires them to follow their passions and dreams. In my own case, I chose to alter my path as a teacher to pursue my passion for a career in the arts. That choice to follow my creative instincts has proven to be very rewarding for me in many ways. However, little did I know that my own daughter, Katie, who grew up playing sports, watching TV and hanging out with friends, would choose to pursue her passions in the arts. As a young child, she watched me paint and did some dabbling herself, but she soon followed her peers into the world of whatever seemed “cool” for the moment. Just before her senior year in high school she decided that art might not be such a bad way to make a living, after all. Today, at age 26, she has a degree in Photography, works as a designer at Kathy Davis Studios and has started a photography business on the side with her soon-to-be husband. My own experience is one I heard echoed in some of my artist friends, whose daughters, or mothers, are also involved in the arts. It gave me the idea for an interview series that would be timely for Mother’s Day. Is creativity genetic? Is it a natural instinct or instead is it inspired or acquired by osmosis? Whether hereditary or acquired, the love of art often passes from one generation to the next. While daughters may be inspired to follow in the footsteps of their mothers before them, each of them are creating a path that’s all their own. In this blog series, you’ll meet 6 different mother-daughter duos – each with their own unique story of how art has played a role in their lives – and how that passion for art creates a shared bond between them.